Here to Stay is a very small limited edition of only 100 prints. 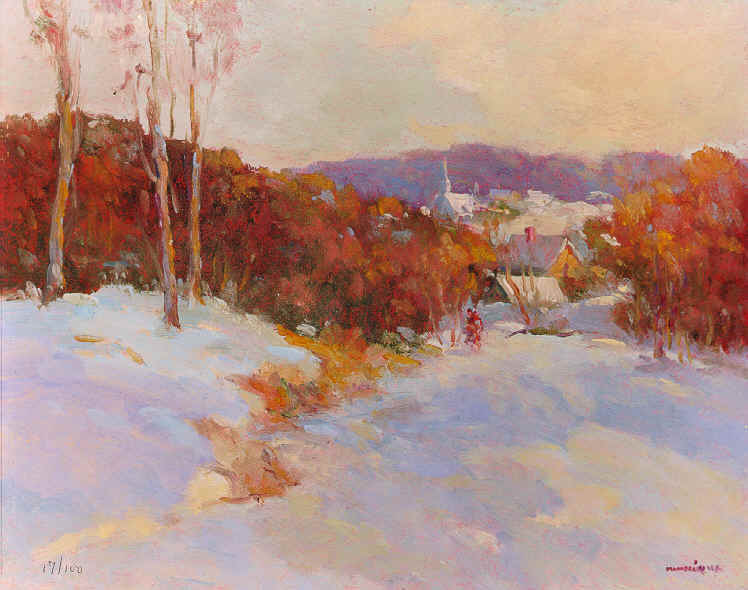 This winter scene shows the beautiful contrast of the snow against the colorful trees. The image size is 8 x 10 and with the included double mat, the framing size is 14 X 16. Personally signed and numbered by Monique, this is a rare and popular print. This is a perfect print to hang in your home or office, or to give as a gift. The price is $65 US, plus $5 for shipping and handling within the United States.